Description: The key to success is quickness and speed. Grab a dolphin before they disappear and you could be a winner! 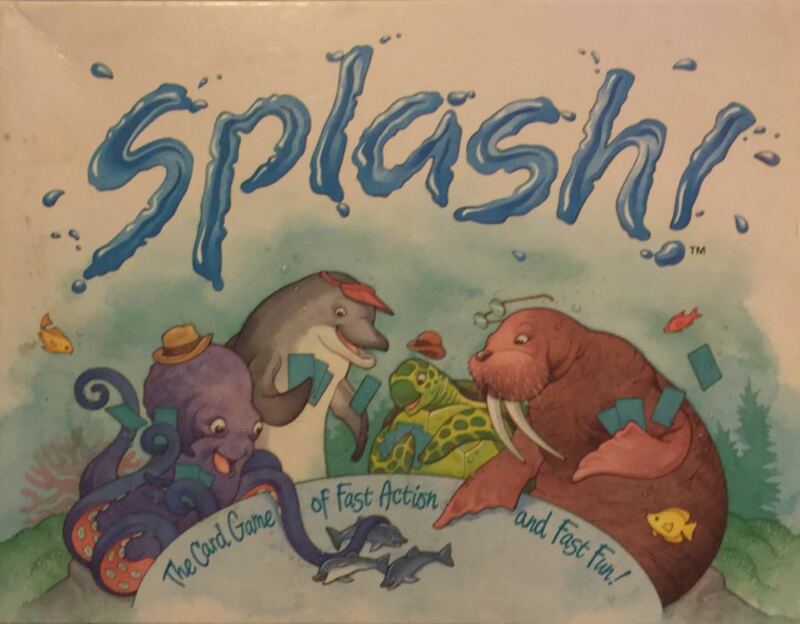 But you have to be quick, because there are never as many dolphins as players! Four cards are dealt to every player. Players pass one card at a time as fast as possible to the person on their left. 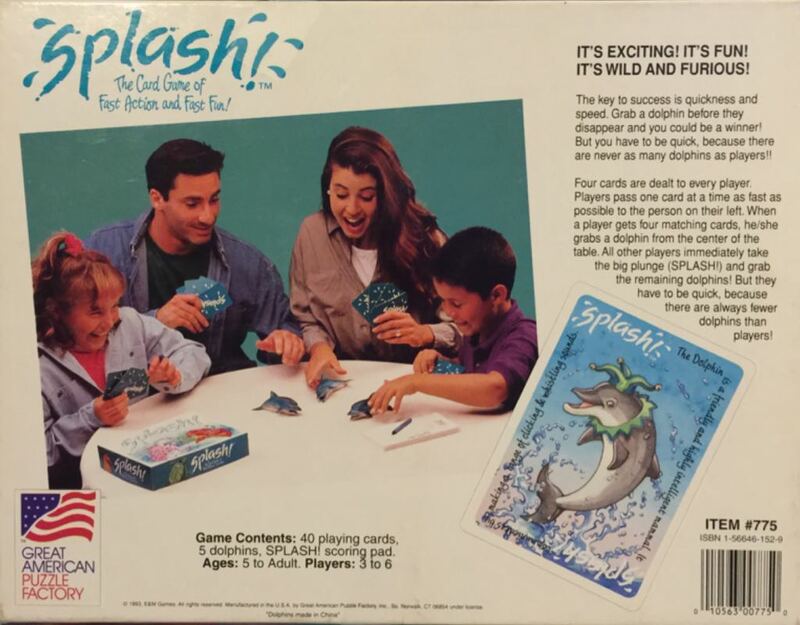 When a player gets four matching cards, he/she grabs a dolphin from the center of the table. All other players immediately take the big plunge (SPLASH!) and grab the remaining dolphins! But they have to be quick, because there are always fewer dolphins than players!